Vice President, Mergers & Acquisitions and International Development at AMC Entertainment Inc.
Jason Cole is Vice President, Mergers & Acquisitions and International Development for AMC Entertainment Inc. (AMC Theatres) where he guides the company’s strategic growth in the U.S. and overseas. Jason grew up in Kansas and then began his career as a movie theatre manager in Fort Worth after graduating from Texas Christian University. He worked in various AMC locations in Texas, Kansas, Missouri and Japan. 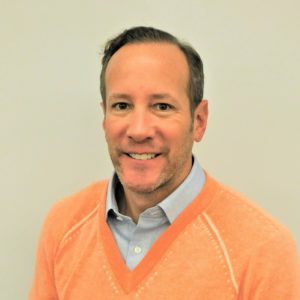 Jason later joined AMC’s corporate headquarters in Kansas City, serving in a variety of roles including training, guest services/quality assurance, international operations and strategic partnerships. He headed up the food & beverage team as the company developed its dine-in theatre concept and moved into corporate strategy as AMC began leading the industry in the recent drive to upgrade the customer experience with enhanced seating, sight & sound and food & beverage. In his current role, Jason has been involved in the recent acquisitions of Starplex Theatres and Carmike Cinemas in the United States and Odeon Cinemas and the Nordic Cinema Group in Europe. This series of transactions has propelled AMC to be the largest movie theatre chain in the United States, in Europe and in the world. He is currently working with the Public Investment Fund of Saudi Arabia to bring AMC Theatres to the Kingdom of Saudi Arabia which will be the first movie theatres in the country in 35 years. Jason has served as co-chair of AMC’s philanthropic organization, AMC Cares, for the last 3 years which benefits AMC associates through scholarship programs, provides disaster relief in impacted AMC communities and grants cash awards to organizations in the areas of arts & culture, health & human services, education and employment. AMC Cares distributes over $1 million a year through these efforts.